Frederick Douglass was an eloquent orator and staunch activist who believed in the power of persuasive words to achieve results. John Brown was, for the most part, a man of action — even if somewhat misguided. Douglass and Brown, perhaps history’s best-known abolitionists, saw eye-to-eye on most anti-slavery issues. But one thing they couldn’t agree on was Brown’s plans to raid the federal arsenal at Harpers Ferry in 1859. 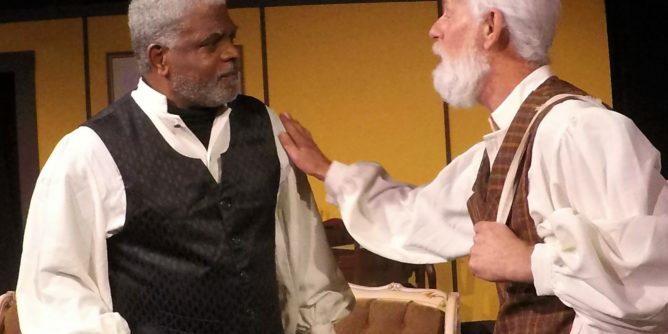 Their final conversation in the months leading up to Brown’s ill-fated raid is at the forefront of In Splendid Error, a historical drama opening this weekend at the Acrosstown Repertory Theatre, 619 S. Main St. Opening night is Friday at 8. 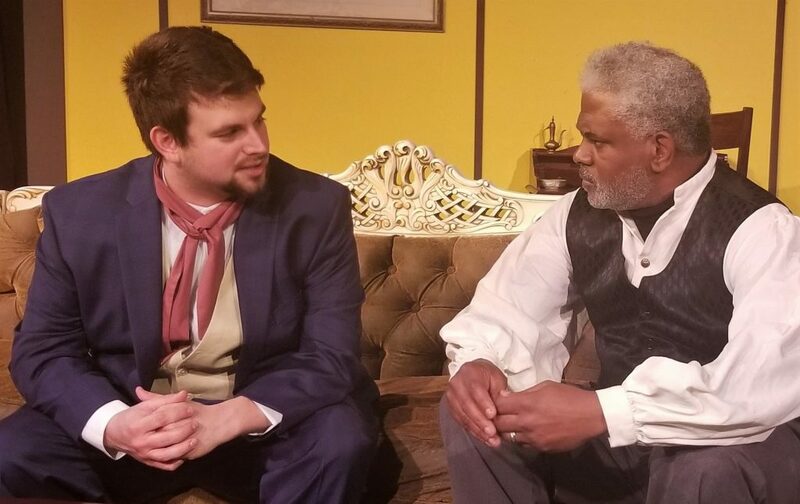 There are also performances Saturday at 8 p.m. and Sunday at 2 p.m. followed by three performances a week through Feb. 17. By informing his friend about the pending raid, Brown creates a moral dilemma for Douglass, a former slave who became one of the most influential leaders of the anti-slavery movement. Douglass ultimately chose not to join Brown’s insurrection — and may have unknowingly preserved his legacy. “I believe that if Frederick Douglass had assisted John Brown in that raid, we wouldn’t be talking about him today,” Velasques Richardson said. 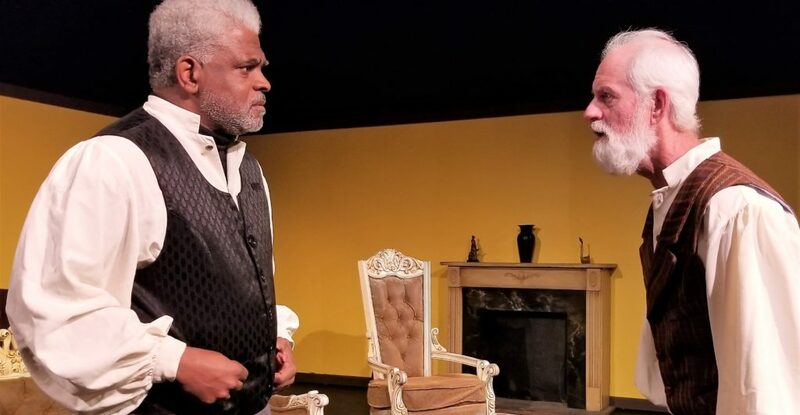 Much like Douglass and Brown were friends, In Splendid Error brings together two longtime friends in the leading roles. 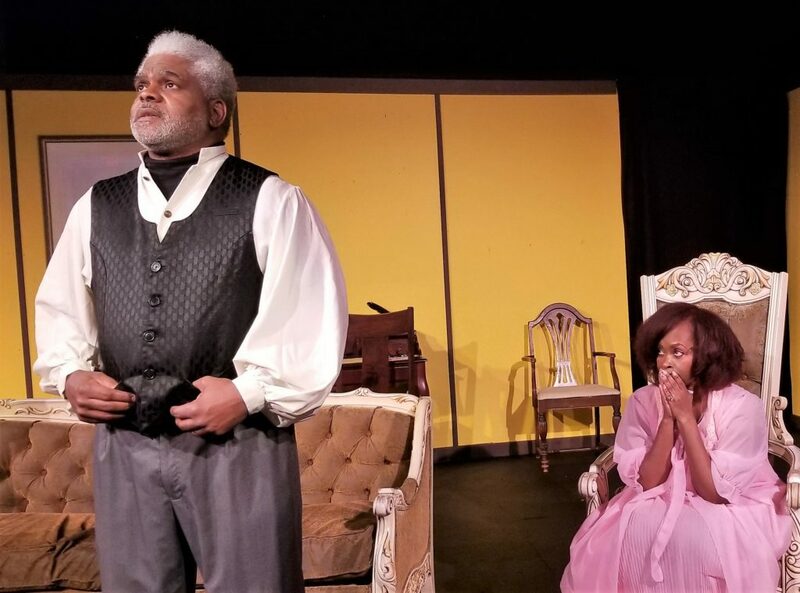 E. Stanley Richardson, the director’s husband, plays the charismatic Frederick Douglass. 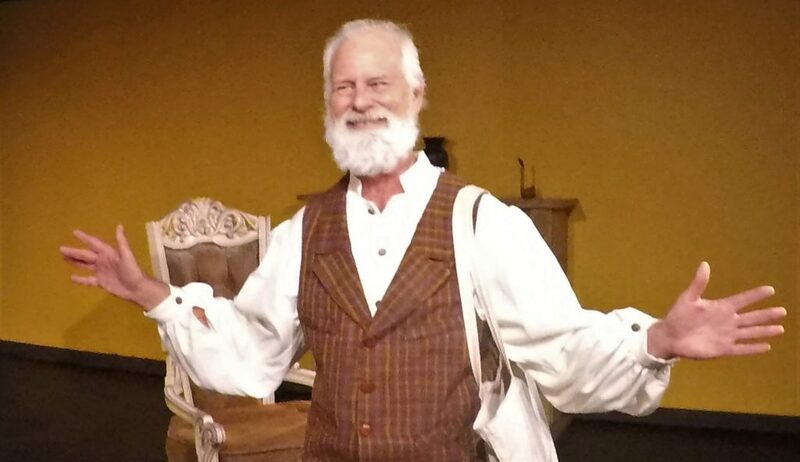 Shamrock McShane, sporting a bushy white beard, plays the unflinching John Brown. The cast of In Splendid Error also includes Sondra Thirston (Anna Douglass), Alithia DelVeccio (Annie Douglass), Lamont Wallace (Lewis Douglass), Tyson Adams (George Chatham), Zack Jamerson (Theodore Tilton), Andy Jean (Frank Sanborn), Oscar Green (Shields), Grayson May (Col. Hugh Forbes) and Howard Anderson (Rev. Loguen). E. Stanley Richardson said there are unique challenges in portraying a major historical figure from the 1800s. Douglass was born into slavery. His mother died when he was young. He didn’t know his father but suspected he was a slave master. After escaping slavery at age 20, Douglass became a respected statesman. He also published The North Star, an abolitionist newspaper in Rochester, New York. In Splendid Error is set in the Douglass home in Rochester, where we meet his family and some of his abolitionist friends. Then John Brown shows up unexpectedly using an alias. Douglass welcomes his old friend and expresses support for Brown’s goals but not his violent methods of achieving them. McShane has played historical figures in other stage productions, most notably Julius Caesar and Sigmund Freud, but John Brown’s story has been muddled by history. Playwright William B. Branch wrote In Splendid Error in 1954. 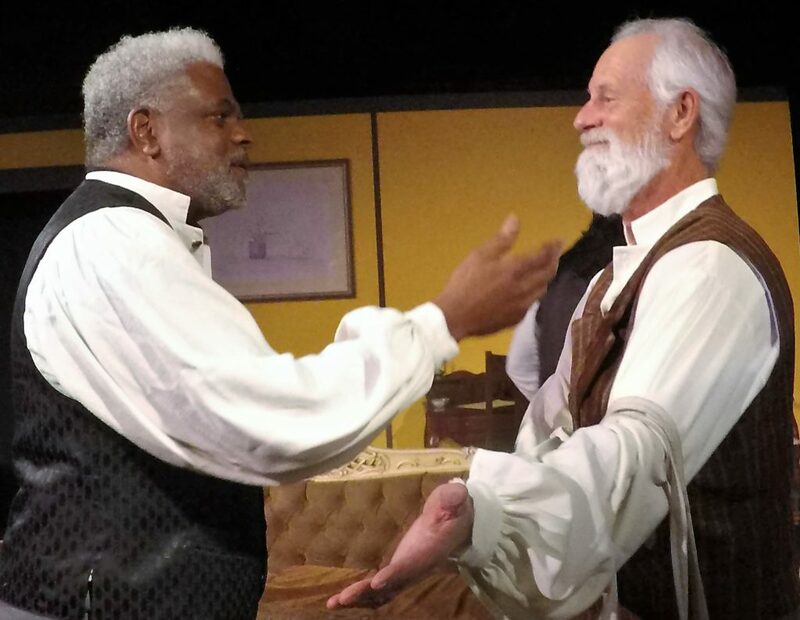 The thought-provoking play is an intimate portrait of two men at the crossroads of history. The little-known play delves into the small decisions that sometimes change the world. “It’s tragic that Frederick Douglass never seems to forgive himself for not going with John Brown to Harpers Ferry,” McShane said. Velasques Richardson said that In Splendid Error is not just a play for Black History Month. Performances: Fridays and Saturdays at 8 p.m., Sundays at 2 p.m., through Feb. 17.